If you have a list of the persons who you do not want to annoy, as far as I am concerned, your hairstylist may be in the near top of the list. When a hairstylist is so annoyed that he or she will be not so happy or patient enough to do styling job well for you that may lead to your wearing hat for several days. For most stylists, there are five annoyances in common, which from time to time bother them a lot. To get on well with your stylist, you had better get rid of these annoying habits a little while and enjoy your visit to a salon. Trust me, a happy memory in a salon or a hair disaster depends on your choice mostly. When I get my hair cut, colored, styled or washed in a salon, I am always asked by my stylist not to move my head. One of annoyance bothering the stylist is that clients keep moving their head. During the styling process, if your head is bouncing about like a bobble head doll, seriously terrible things can happen to your hairstyle. Be wary of the movements your head makes when you are getting your hair done and try to keep the movement at a minimum. Honestly, I am seldom late for anything. When I make an appointment with others or go to be present at any occasions, I am used to arriving several minutes earlier. For me, chronic lateness is such a vice that it sometimes represents your disrespect, which even does numeral damage to your image. It is acceptable that a person shows up in several minutes later once or twice because of matters such as traffic jams. But chronic lateness? I am afraid that no one can bear waiting for a long time for a guy who is always being late. Please make a quick phone call or text the guy who you make an appointment with to explain the reason when you are going to be late. It will make a great difference to you too. With the aid of your pre-informed message, your stylist can adjust her mindset, and perhaps the rest of her schedule, or let you know you may have to reschedule. So the most important issue is that you have to let your stylist know what’s happening when you are running behind, so that the stylist can feel that he or she is respected. Do you once think about how your stylist think when you step into a salon and simply give your stylist a what-so-ever order which means absolutely no direction? In a salon, although you don’t have to know everything about hairstyle, your “I don’t care, do whatever” could mean a lot of things and your image will be totally depend on your stylist’s mood or level of irritation. If your stylist knows your style well, it will be okay that he totally makes the decision for you. If not, it is likely that you will be extremely bothered by the hairstyle in the coming several days. On the other hand, no matter how good the relationship between you and the stylist is, it is also nice to say something with direction, so that you too will achieve a win-win result. Some sentences like “I want it to be shoulder length”, “Maybe light color is better” are appreciated by the stylist, in order that he can adjust the styling according to your opinion to get the best result. Sometimes you may find that the stylist you like most is always busy to do hairstyle for you. Yes, you do love the hairstyle he designs for you and you want to continue to have your hair cut or colored by him. But the problem is that he is such a good stylist that a large number of persons prefer him to be their stylist. Although you seldom made such kind of appointment before, it is time for you to do so. You should know that you may just receive the word “No” from your stylist if you make your request in the last minute because he has a too full schedule to squeeze you in. It will be better to call or text your full schedule stylist several days. There is no doubt that technology is so important, but it is time for you to hang off your phone for a short period of time while you are in a salon. Not only is it completely rude and disrespect, but it moves your head around annoyingly. Your stylist may consider as an annoyance for it interrupting his job when he is probably trying to comb your hair in some fashion. Texting or facebooking or whatever the kids do these days is a lot better, but it will be better that you keep it a technology free zone. The more you stylist know about your opinion of your hairstyle, the better result it will be. Beyond doubt, all of us would wish to be in a fashion, elegant or other good image. In my opinion, a good image begins with a decent haircut. In a salon, you may bring a photo to describe the hairstyle that you want to the stylist. 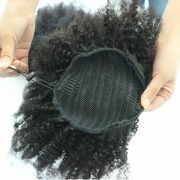 However, have you thought about that your expectation for a new look may not be born by your natural hair? You may admire the celebrities’hairstyle, but have you image how much time those celebrities spend on their styling and will you do the same thing? The passage below is something that your stylist will not be plain with you and you are supposed to know more before your next haircut. To some extent, great hair takes some work if you want your haircut look as same as the image in the photo you brought in. To achieve great effect on your hair, a certain amount of work need to be done to your hair, unless you have perfect hair, with great body and beautiful thickness. Actually, you can not deny that there is nothing so called perfect hair. The hair of celebrities’is just like yours. Mass media and other factors seem to make celebrities superior to us. As a matter of fact, celebrities are born just as human as you and me, with no exception in every innate biological characteristics including hair. 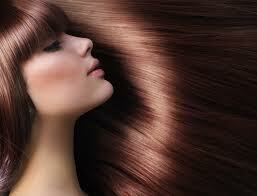 When it comes to hair, you will wonder why those celebrities can have a head of shiny and healthy hair naturally. But this is just because celebrities employ a team of stylists to take good care of their hairstyle with extensions, wigs, first class of hair products and hair caring process. Not only does it cost a large amount of fortune, but it does take lots of time. 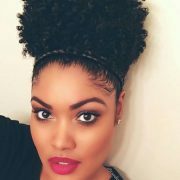 As a result, it is probably unrealistic for you keep your perfect hair everyday without investing a plenty of money and time. Actually, it reaches to be unrealistic for you to expect your natural hair to look great without using hair products in your hair. Have you notices how many products your stylist apply to your hair in your hair styling? To own beautiful hair, it is time for you to use more professional and appropriate hair products. 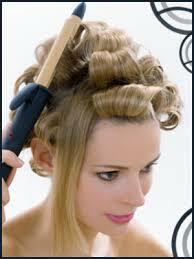 It is strongly recommended that you opt for the right hair products basing on your hair type. It is common that some girls have been wearing a same hair style for several years. So why not change another style to refresh yourself. You should know that it is unlikely that you can gain a good result if you ask for a new look but style your hair in the same way you always have. To be honest, among all the people I know, there is never a lack of the kind of people who totally change their hairstyles in order to adjust their mindset. A brand new and beautiful haircut can always bring you good mood. So why not just go to take a try? As we all known, Rome was built in a day. It is most likely that you fail to have your hair styled by yourself in the first or second time. Practice makes perfect. It is unnecessary for you to feel depressed when you do a bad job at the first time. It takes some times and some skill to learn how to trim your bangs and you will get what you want at last. What do I mean by being realistic when having your hair styled? If you want to go in for a hairstyle which requires 30 minutes but the most you can spend is 5 minutes, is it possible for you to achieve the same result? Please keep your feet on the ground and discuss with your stylist about your hairstyle, basing on the level of effort that you are willing to put into. Besides, if you were “blessed” with ridiculously thick hair, you may have to accept the fact that you need to spend more time in styling and do not expect a lot to have the same style effect just like thin hair. 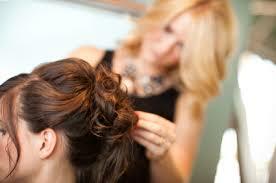 To some extent, stylists are artists who always would like their artworks to be accepted by their clients. The hairstyle he designs for you is the representation of his talent, experience, skill and his good name, so he sincerely hopes that your clients can be satisfied with his work. Your satisfied smile is one of the greatest awards for his job. You may always be confused by the phenomenon that your hair seems to never get longer although it obviously continues to grow. Besides, no matter how many years you keep your hair uncut, it seems to stop getting longer at a certain length. Even though you try every product possible to make your hair grow faster, it seems that it can not take into effect. Sometimes you may be jealous of your friends those who are able to grow long beautiful hair, but you just can not find a way to solve the problem of your “stop growing hair”. Actually, you are not alone. Countless people have been puzzled by this question. In most cases, you may find that your hair seems to grow faster after you have it cut. So you may wonder that if getting a haircut is the simplest way of solving the problem. Actually, cutting your hair has nothing to do with making hair growing faster. Generally speaking, hair can be regarded as being dead essentially once it grows out of the scalp, so that whatever you do to the ends of the hair can not physically speed up the rate at which your hair grows out of your head. When at a certain length, the hair ends will be in a bifurcate situation in which it will break easily. With time going on, there will be increasingly split ends if you leave it alone and then and it will speed up the breakage of your hair. The longer you allow your split ends to hang out, the more your hair breaks off from the bottom, causing it to actually get shorter. 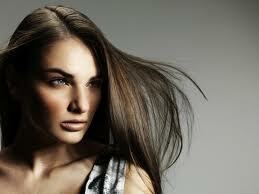 With the aid of haircut, you will remove most split ends away, keeping the growth of the hair to be normal. Like many other girls, you may do hate hair split ends that you are used to chasing it and removing it away with my fingers. Who’s more, you do not feel like having your hair cut frequently. So what can you do to solve the problem of split ends? 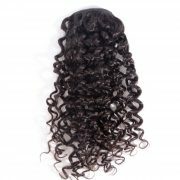 Under this situation, it is indispensable for you to take good care of your hair in order to keep your hair away from bifurcating. Believe it or not, it is a truth that you can hardly repair split ends once it happens. However, applying high quality hair products to your hair to do regular conditioning treatments can work well in preventing split ends by keeping the moisture balance. 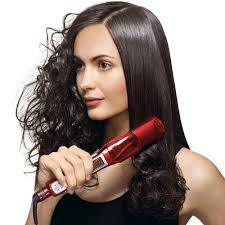 The longer your hair is, the easier your hair ends tends to lose moisture balance to bifurcate. There is one thing called the biology of hair which determine your hair’s length potential. Despite the fact that you are getting a haircut at a regular speed, as well as taking good care of your hair with the right and high quality products, it is also common that there is a stop growing in your hair. Under this situation, you may have reached your hair’s length potential. There is something called hair’s (all hair, including your nose hair） growth cycle, among which there are three growth stages, including anagen,telogen and catagen. As for the growth time spent in each stage, it is all pre-programmed by your DNA. Every hair has its own specific length of growth time. In general, hair can actively grow for an average of 2-6 years. Of course, it varies from person to person. If you have a hair growth cycle of 2 years, but others’ are of 6 years, it is obvious that you just can reach the length potential of shoulder length while others’ hair can reach her waist. In addition, because of the complication of human’s biological characteristics, some people’s active growth cycle can last less than 2 years while others can be much longer than 6 years. On average, there is an increasing length of 6-inches per year for each hair, meaning that you can only expect your hair to be a maximum length of 12 inches if your active growth cycle is only a couple of years.